Leaving for vacation? Make sure your home is safe! There is plenty of time left for your summer getaway. Make sure your home is safe before you leave. Statistically, theives target homes that appear temporarily unoccupied while homeowners vacation. Follow our steps to help protect your home!! 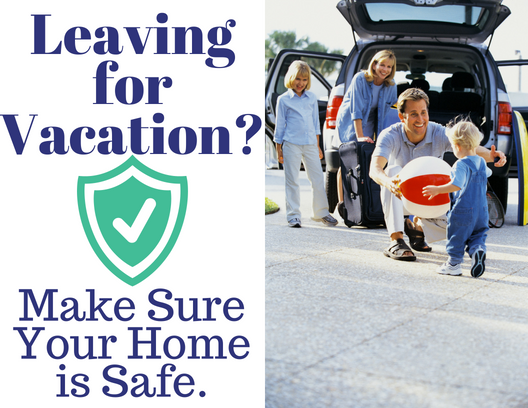 While nothing can guarentee the safety of your home, taking these steps can help deter theives while you are away!